Clucks & Chooks offer online advice and tips on keeping chickens. 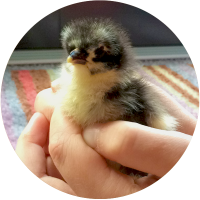 Whether you keep hens for eggs or just as pets, we have all the information you need! Everything you need to know about keeping chickens. We have created a guide which offers advice on how to feed chickens, house chickens, selecting the right breed for you, things you need to consider before getting chickens, what to do if they become ill and so much more. Here are a few tips for anyone who is considering keeping chickens and how to get started. Guides on feeding, handling, wing-clipping, daily tasks and protection from predators.